As we know the technological evolution speeds up exponentially, most companies are showing much interest in DevOps and it’s getting increased rapidly. 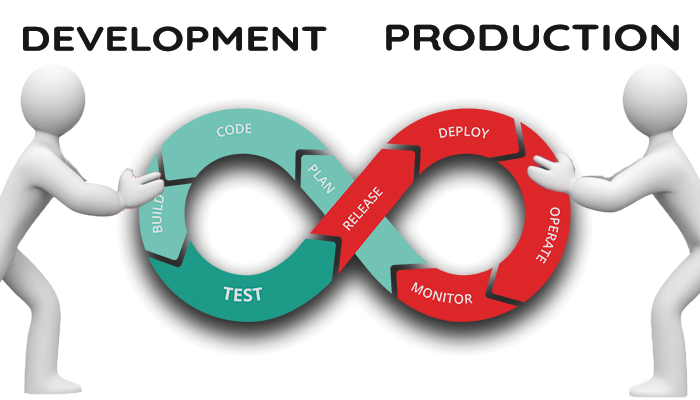 In this blog, we will get a tour of how DevOps influences in testing. As we all know, agile methodology is the iterative steps for development and testing whereas DevOps is the extension of agile. This is because most of the DevOps values are agile values. DevOps means development and operations which is a methodology for software development process used in enterprise level. It is an integration of development and operations to be done in a single iteration. The below snapshot gives an overview of DevOps process. Why We should Follow DevOps? There is always a question will be rising when we learn about the new technology is why it should be followed? In traditional software development, developers will write the code and commit the code in code repository. Then the code will be pushed to the test environment for testing. The testing team will test and approve the build, once it is approved the build will be deployed in production. This method is efficient, but the time consumption is more. To reduce the time to go live the process automation will help. In DevOps, all these processes will be done in a continuous manner within a short span cycle and also be in a smooth manner. Since DevOps works in short span of time it is difficult to run all the test cases manually. QA process needs to get adapt to new methodology for continuous integration process without getting interrupted. For this QA process needs to get along with DevOps. It needs to get automated for the testing subset of a suite of test cases core functional tests to be checked. Pre-Test analysis, automated flow for the designated project needs to be done priorly. Only required test cases need to be identified for that current build and critical and blocker bugs need to be identified and reported parallelly. This will help the testing process to continuously evolve with DevOps without breaking. Previously, Agile has made some huge impact over waterfall model, now DevOps has its own future as an agile extension. As a result on my perspective, DevOps will make the development and operations to work on the same page which will make the project benefit. Ahilan, Product Associate at DCKAP is our enthusiasm quotient. Being a passionate LARAVEL developer, he handles the complete spectrum of qatouch usability and support.He rejoices listening music, you can be found him watching movies at theatres in Chennai during the weekends.